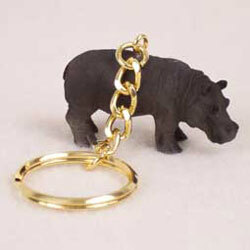 Give your keys animal appeal with a cute hippo companion. Made of cold cast stone resin and beautifully hand painted. Keychain is approximately 2" and weighs about 1 oz.